How can American Express help you? FORTUNE — Call-center customer service has become a finely honed discipline, but usually it seems honed to cut time: The agent is superficially friendly, but nothing can derail that person’s mission of getting you off the phone fast. Service at American Express (AXP) wasn’t much different from that before Jim Bush was put in charge of it in 2005. His basic insight was that breaking with industry orthodoxy by transforming those conversations into less structured, more human engagements would pay off. Instead of evaluating service reps mainly by how quickly they got you off the phone, as many companies still do, he switched to the net promoter score developed by Bain’s Fred Reichheld. It’s based on one question: Would you recommend this company to a friend? AmEx’s score has risen significantly under Bush’s direction, and he was right — it pays off. Customer spending is up, attrition is down. So when somebody calls American Express, the person on the other end has a computer screen in front of him but doesn’t have a script? No scripts. Information is presented to the care professional — we call them “customer care professionals” because that’s what they are. They’re not service professionals; they take care of customers. We present the profile of who that customer is and other information relevant to that particular interaction. That allows the care professional to be conversant and pull out their personality and match it to the personal needs of the customer. We’ve also modified how we measure performance. We got less focused on productivity as measured by how much time you’re on the phone and freed up our care professionals. We let the customer determine how much time they want to engage. That engagement drives value. We serve customers, not transactions. How does the net-promoter concept work in your situation? Our aspiration is to drive advocacy, where we get impassioned customers to tell others about their experiences with American Express. For every servicing transaction, we ask, How can we get the customer to feel better about American Express and recommend it to a friend? That’s a promoter. We’ve built a measurement system that surveys the customer and gets that feedback for every servicing transaction, and then we use that to measure [each customer care professional’s] performance, complemented by some productivity indicators. Those two measures drive incentives in which we reward our customer care professionals, all the way up to me. We’ve been able to show that increased satisfaction drives increased engagement with American Express products, and that drives shareholder value. Great service is great business. You can really follow it all the way to shareholder value? We track it all the way to shareholder value. For a promoter who is positive on American Express, we see a 10% to 15% increase in spending and four to five times increased retention, both of which drive shareholder value. In fact our operating expenses associated with service have gone down because we’re more streamlined, and we limit friction points and errors. Research shows that most people are far more likely to tell others about a negative experience than a positive one. You want people talking about positive experiences. What’s key to making that happen? We’ve all become frustrated by the lack of service experience around the world, and in fact when people think of customer service, they tend to think of problems. Customers have regained control because of the proliferation of information at their fingertips, and they benchmark their experience across their lifestyle. It’s no longer enough to be good within your industry; you need to be great across industries. Compounding that is the influence of social media. That promoter question we ask is actually viral marketing in its finest fashion. In asking it, we’re influencing the customer to influence his friends and family, and that has become exponential with social networks. The power of that has turned this from a cost to an investment in our business. People don’t feel the same way about service as they did 10 or 15 years ago. What have you observed? We field a survey annually and found that 7% of consumers feel they’re getting good service; 93% are not getting the service they expect. It’s an enormous void. We defined our business system to respect the fact that these are human beings. We unleash the power of personality and hold our people accountable to key objectives as measured by the voice of the customer. It’s a simple concept. It’s the Golden Rule — treat others as you would like to be treated. But that simplicity is often overlooked by other businesses. Think of the power of the voice of the customer now. Verizon (VZ) introduced a $2 fee, the voice of the customer screamed loud, and it turned that around 24 hours later. We need to appreciate customer-centricity and the value it creates. You’ve changed how you interact with customers, so your people need new skills. Do you train them differently now? The training has changed. In the past, 75% of it was on how, technically, you complete the transaction. Now it’s on how you create the relationship and build it through humanity, conversation, and engagement. As I’ve traveled the world, I’ve always appreciated the people at the front desks of hotels who welcome you in. That hospitality is what we try to deliver through virtual means. So we no longer hire; we select. And by attracting that profile, people come in with the will. We teach them the skill. Unlike other major card companies, AmEx both issues cards and also receives funds from customers and transfers them to merchants. Does that model give you a service advantage? Yes. I’ll give you an example that happened recently. I was in a meeting, and a gentleman joined us a bit late. He had lost his composure. I asked what was the matter, and he said, “I’ve never done this before in 35 years in business — I left my overnight bag in the back of the cab.” So I picked up my phone, and our customer care professionals jumped into action. He had used the American Express card to pay the cab fare. We were able to get in touch with the cab company, and he had his bag back in less than an hour. It’s a very powerful demonstration of the power of data, in-the-moment relevance, and the power of what we bring. No other credit card company can deliver on that. You’re watching the spending of millions of customers globally. What’s the state of the customer today in the U.S. and globally? We’re seeing cautiously optimistic signs in the U.S. In Europe they’re suffering challenges. As we look at opportunities around the world, cash continues to be our main competitor. We’re seeing that opportunity continue to help us offset some economic instability around the world because people still have the need for nondiscretionary expenditures. Back in the early days of the recession, we saw the unprecedented phenomenon of the affluent consumer, the American Express customer, cutting back spending more than the middle class. More recently we’ve seen the affluent consumer coming back in a big way. Are you feeling the effects? We’ve seen it consistently across our business. We’re seeing very strong growth in use of our products, and more important, we’re seeing very positive trends in our credit indicators, indicating the health of our portfolio. But it’s not necessarily in the luxury goods sector. It’s across everything customers buy. When you got this job, you weren’t sure it was a promotion. How has perception of this function changed? I was asked to move into this job by Ken Chenault, our chairman. At the time I was thinking the way most people think — that these are back-office operations. But as I thought about the millions of interactions we have with customers, I said, “If we can unleash the power of that customer-facing organization, think of the value we can create.” We developed purpose, and we created energy around that purpose. When you unleash the personality of people to make those connections, the value is significant. It’s not that we strive to make everyone happy. There’s accountability that goes along with this. Giving our people freedom, boundary, and purpose, combined with holding them accountable, drives economic value. Do you encounter a lot of misconceptions about the nature of service? The perception of service is that it’s all about problems. Problems are actually a very small percentage of why customers interact with American Express. What we’ve learned is that the power of that interaction gives us an opportunity to expand the perception of the brand in a very positive way. There’s a tendency to see service as a sunk cost — the customer is reaching out to you. So people say, “It’s a cost. Let’s look to eliminate it.” And over time we can eliminate friction points, which eliminates the need for some customers to interact with us. But the reality is, it’s a very powerful opportunity to build a relationship. 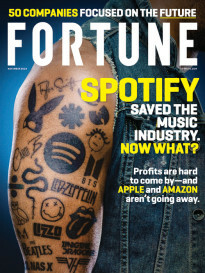 Formerly called “C-Suite Strategies,” this is the latest interview with a top executive by Fortune senior editor-at-large Geoff Colvin. 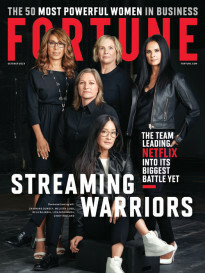 See video excerpts of this interview at fortune.com/leadership — plus find Colvin interviews with Chicago mayor Rahm Emanuel, DirecTV CEO Michael White, Xerox CEO Ursula Burns, Humana CEO Michael McCallister, and many more.